Do you know what “intersectionality” means? The concept refers to the overlapping and interdependent systems of discrimination or disadvantage, in terms of race, class, gender/sexuality. For example: “female Latin”, “transgender Asian “and “gay Black” are intersectional subgroups. But don’t worry in case you never come across this clunky 17-letter word before, which also happens to be a great tongue-twister for learners of English language. 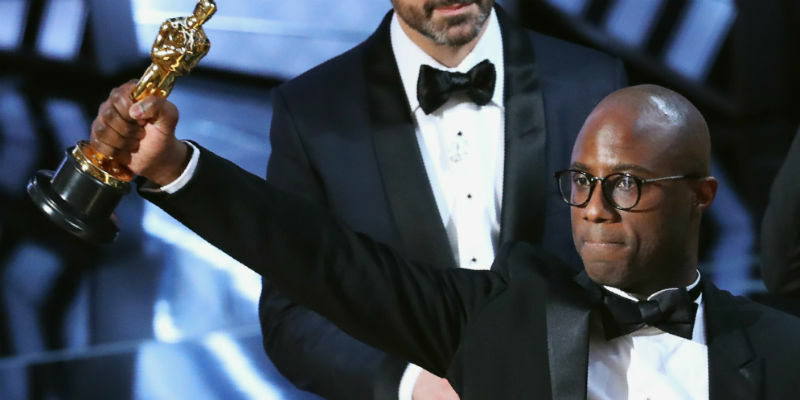 I had never seen it myself until a couple of days ago, when very angry readers confronted me just on Twitter about my review of Moonlight (Barry Jenkins), which received the Best Picture Oscar last night. In my piece about the upset Oscar-winning movie about a gay Black in Florida (click here in order to accede to the review page) I did not acknowledge intersectionality. Instead, I addressed gay rights and black rights separately. This infuriated a couple of readers, which described the piece as offensive and irresponsible. One of them went one step further and questioned whether DMovies had any black gay writers because he believe that “intersectionality is key”. I replied that we have one gay black writer, and that his name is Almiro Andrade, plus several gay and black writers (I’m a gay male myself). Not a bad achievement for a nascent and small organisation in terms of diversity, I opined. Diversity is of course a very loose term, used to describe anything vaguely multicultural, international or anti-bigotry. It is therefore necessary to qualify it, and intersectionality is a fitting answer to that. It enables us to describe the demographics of diversity in minute detail. I’m a gay Latin, it seems, although I would personally shun the attribute: I think it’s too granular and limiting. Intersectionality (or intersectionability, as some pundits prefer) has plenty of benefits to offer to liberals. It improves public awareness of groups hitherto invisible and voiceless, pushing their requirements up a government’s agenda. But intersectionality also has at least two major problems which could backfire. So we need to think about it a little before ranting and demanding intersectionality in every sphere of our society. Firstly, just like diversity, intersectionality is a very vague term. Some of the subgroups already have a long history of activism as well as significant representation in film (note: significant does not mean sufficient). These include lesbians, gay men, black women, etc. London has the firmly established Images of Black Film Festival, an event taking place every year and entirely dedicated to a subgroup. On the other hand, other subgroups are much smaller and it’s borderline impossible to vouch for their representation in film: gay Black, Asian transexual, Latin intersex, and so on. Our concepts of gender and sexuality are so fluid nowadays that it would be both difficult and counterproductive to articulate these tiny groups in the same way lesbians have articulated their movement throughout the decades. One size does not fit all. Secondly, and far more importantly, is the issue of sectarianism. I have never fully supported the quota and positive discrimination agenda. By principle, I never fill out the ethnicity forms which are conspicuous in the UK – even knowing that I would probably benefit from doing it (as I’m in a minority group). But I do recognise that quotas for black and mixed race people in universities have helped to improve equality in Brazil, the country where I come from. I confess that that I still haven’t made up my mind about the controversial topic. What I don’t approve is sectarianism. In order to explain myself, I’ll go back to the angry reader. While I recognise that his anger has very genuine reasons and that as a black gay he is doubly vulnerable to prejudice, I do not approve of mandatory intersectionability. DMovies does in fact have a black gay writer (his name is Almiro Andrade), but what if we didn’t? As the company director, I never set out to find a black gay writer. We can’t possibly cater for representatives of all subgroups. We would need a black person for each gender, class and sexuality. Here’s a list of the 58 gender options for Facebook users, just to give you an idea of how complex and non-binary these concepts are. Extreme demands for representation can pulverise the diversity movement and alienate your likely supporters. And we’ll end up with further segregation, not less. So my message to intersectionality champions is: pick your enemies more wisely. Intersectionality should never become intersectionihilism. The Best Picture Oscar for Moonlight is a tremendous achievement, and also a deeply political act. La La Land would have represented a victory of the status quo: white and hetero. With Moonlight, the Academy killed two birds with one stone: the rabid eagle of racism and the ugly vulture of homophobia. This is a direct response to the #OscarSoWhite movement from last year and to the 2006 Oscars – when Crash (Paul Haggis) received the Best Picture Award instead of the Brokeback Mountain (Ang Lee’s gay romance was the clear favourite to win the prize). 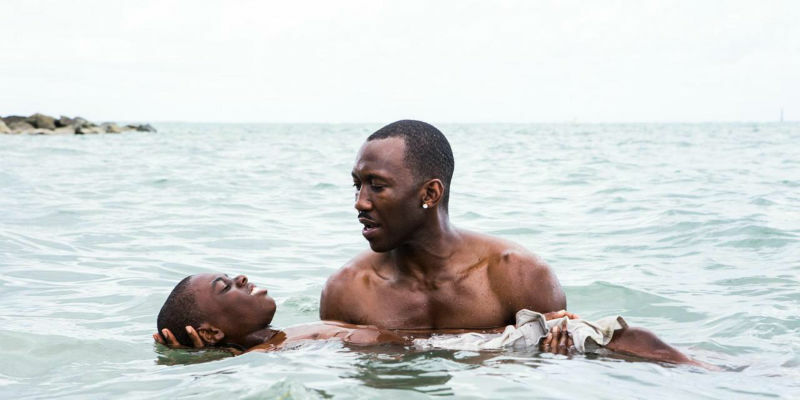 Moonlight is indeed a very good movie, but also not without flaws – such as the casting and the soundtrack (see my review). There is no doubt that its subject matter helped to catapult it to the top. And why shouldn’t it? Cinema is a powerful transformational weapon, and we should have no qualms at using it in order to make a statement and demand change. I congratulate both the filmmaker Barry Jenkins and the Oscars. So, is Moonlight ultimately an achievement for gay blacks, for gays or for blacks? The answer is, of course, all three. More broadly, it’s also a victory for all liberals, as it’s also a statement against Donald Trump’s extremely reactionary, divisive and dangerous politics. We just have to be careful as not to alienate other liberal-thinking groups with a parochial rhetoric, thereby fueling division, plus enabling the deeply reactionary concept of reserve discrimination, and other elusive Trumpian platitudes. The alt-right is ready to seize the argument in their favour at any given opportunity, and they would love to claim that Moonlight is trying to impose a black gay dictatorship upon us. Let’s not give them the opportunity to do so. Whether you are an enthusiastic champion of intersectionality or a disbeliever, one thing is almost certain. Get used to this strange vocab (and the alternative “intersectionability”; I gathered that both mean virtually the same). These two terms are likely to become buzzwords and conversation topics around the best dinner tables, pubs and events in this country and beyond! He’s holding a Golden Globe there. Thanks for the very sharp eye. That has now been fixed!